The brand new 2013 Audi RS4 Avant passed by our garage for a road test. We were granted four days behind the wheel of the latest model in the RS4 history. Following the lines of three earlier generations, the 2013 RS4 is only available as an Avant and based on the facelifted Audi RS5 coupe and new RS5 convertible hitting the showrooms next year. The new Avant is essentially an upgraded A4 Avant and features the highly practical five-door body style and an eight-cylinder powerplant in the front. Audi’s equivalent of M or AMG, Quattro GMbH, got its claws on the facelifted A4 and upgraded it to RS standards. It left us with the task of providing you a verdict on the capabilities of the German power saloon carrying the ultimate Audi badge. 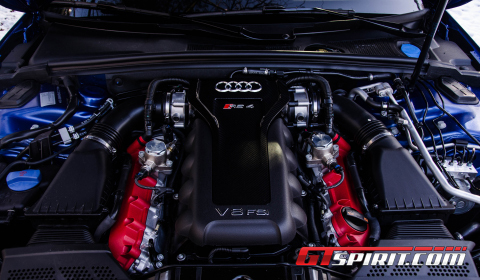 Beneath the muscular body kit lies a naturally aspirated 4.2 liter V8, a high-revving powerplant that reaches its power peak of 450hp at a lofty 8,250rpm and redlines at 8,500. Maximum torque is 430Nm, served up between 4,000 and 6,000rpm. Sadly, the engine is only available with a seven-speed dual-clutch automatic, which is simply the biggest downfall in this car. 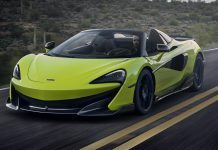 Even though it provides a sprint from 0-100km/h in just 4.7 seconds and, with the right option box ticked, on to a limited top speed of 280km/h, it is nowhere as refined as many competitor’s setups. The automatic gearbox is too slow in the Comfort and Auto drive select modes. The downshifts feel sluggish when you perform an immediate throttle input, which results in an irritating moment of absolute silence until the power arrives. Especially on swift overtake maneuvers the gearbox is simply not capable of offering fast downshifts in these two settings. 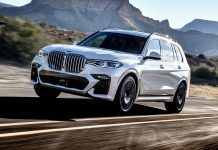 In Dynamic mode (or Individual mode, when programmed by the driver) you get a more sporty character offering lower gears, higher revs and more performance at any given speed, but the wagon also becomes restless, like its walking on its toes. A simple touch of the throttle provides an immediate push forwards accompanied by a wonderful soundtrack from the back via the opened by-pass exhaust valves. This behavior continues until you are completely fed up by the engine noise at cruising speed, request more refinement and the selection of the long-legged top gear which cuts revs on high-speed journeys. The only way to request this is by changing the driving dynamics setting. The gearbox will never think for you or allow you to manually shift up to the highest gear. The box simply does not offer any type of refined between sportiveness (Individual mode) and comfort (Comfort mode). It is like Dr. Jekyll and Mr. Hyde. The Manual mode provides the driver with the option to choose his own gear at any given moment, but when you choose your own gear setting via the steering wheel mounted shift pedals it is only for a matter of seconds. There is a big chance the manual mode will be automatically disengaged shortly after you have chosen the gear and the transmission will decide the best possible gear for the driving dynamic mode chosen. This kind of interference is definitely not what we like! The steering and handling is a different story and provided us with clear RS characteristics. The Quattro all-wheel drive system boasts a crown-wheel center diff instead of the previous Torsen device. The new layout warrants a faster and more efficient torque distribution, front-to-rear and side-to-side. The overall ride quality is reasonable for a RS wagon. Cruising around in Comfort mode will let you feel bumps and expansion joints more than you desire, but the damping is sufficient. Select the sportier modes, and you will be downright uncomfortable. While cornering there is no doubt that the RS4 feels very secure, with immense grip and tightly controlled body movements. However, it still does not feel all that agile as we had hoped for. The reasonable high weight of the wagon is quite noticeable especially when you get hard on the brakes before a turn, even on the ceramics fitted to our tester. The nose feels like it wants to keep ploughing on rather than turn in, bringing back the statement that Audi RS models are world class in understeer. The variable-rate electrically-assisted steering feels suspiciously light at lower speed and continues to act with better directness up to 40km/h. On the open road above 80km/h, however, the correct weight, speed and response are back to normal. The steering asks for a definite learning curve from the driver, but is able to reward the driver’s efforts. It surely lacks a slight bit of feel and accuracy. Even in Dynamic mode, where the steering automatically adjusts to reduce understeer or oversteer, the rig does not outshine fully. The total level of refinement in the RS4 Avant is what we have seen before from Audi. Quality is the key figure on the outside as well as on the inside. The interior is a pleasant place to stay offering decent space for four adults and a boot space of 1,430 liters of luggage. Aside from the heavily bolstered sports seats in the front and a flat-bottomed steering wheel, there are just a few RS badges and splashes of carbon trim to indicate you are in a RS performance wagon. The rest is similar to any Audi A4 trim list. The RS4’s exterior benefits from the usual understated styling enhancements, scoring aluminum grille, front splitter, mirror caps, roof racks and diffuser surround; aggressive front air intakes and headlights; pumped out wheel arches; and 19 or 20 inch alloy wheels. At the rear you get decorative strip stretching over the exhaust tips and the simulated upper diffuser. 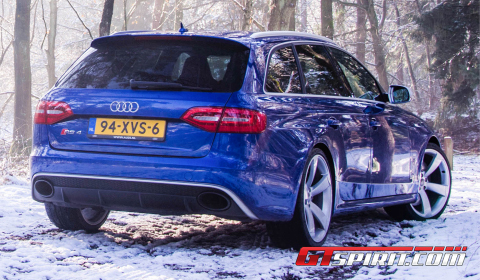 So what are our final thoughts on this new Audi RS4 Avant. First of all, if you want a car that can carry four adults, plenty of luggage and still be entertainingly quick on a twisty B-road, then there are more than enough options, cheaper or more rewarding. You will only choose the Audi RS4, if you are trading in your RS5 Coupe and need more space or want to look more family-like in the eyes of your friends and family. In all other circumstances, there is no reason to rush to the Audi dealership and order the 2013 RS4. Its lack of technical refinement and price tag are dealbreakers in a market where competition is fierce.